We will have a new 4 week series starting the first Wednesday of September and again in October! We hope you can join us at our new home, OMNI SALSA! Full information on classes and times below. Please note our new format and class times. We now offer two levels of West Coast Swing on Wednesday night. Intermediate begins @7pm and Advanced begins @8pm. Cost for the 4 week series is $50/person OR $20 for drop in single classes. We also offer an Unlimited Pass for $75 for those interested in taking both classes! 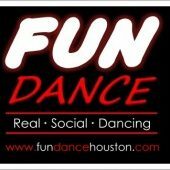 Don’t forget we also have social dancing before, in between, and after classes so you can practice all those great moves from class! Doors open and music starts @6:30pm. Practice time until 9:30pm.